The two-needle piñon is the state tree of New Mexico. The mildly flavored, buttery nuts it produces are much sought after for use in everything from cookies to gourmet entrees…and coffee. 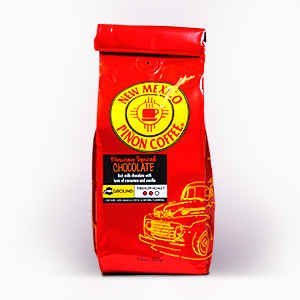 New Mexico Pinon Coffee has been acclaimed by the likes of the New York Times and the National Gourmet Coffee Club. Chile Traditions is proud to offer this line of locally hand roasted, fine Arabica coffee as well as a complete selection of specialty flavored coffees.